Hit show Derry Girls has won yet another award, after the show was named as Best Comedy at the Broadcasting Press Guild Awards. The accolades are voted for by journalists who write about television and radio and sponsored by Virgin Media. The 45th BPG Awards lunch took place on Friday at Banking Hall in the City of London, attended by the winners, BPG members and leading broadcasting executives. The BPG Awards are highly prized by programme-makers because they are selected independently by TV and radio correspondents, critics and previewers. 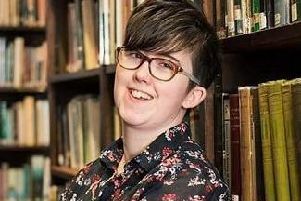 The news comes after Channel 4 confirmed that first episode the second series of Derry Girls - written by local woman Lisa McGee - gave the channel its biggest audience for a comedy series since 2007. Channel 4 said episode one of the popular series consolidated with 3.2m viewers. Consolidated figures incorporate both live and timeshift figures - such as viewers who recorded it. The figure means that the beginning of series two outperformed the launch of series one.